I helped carry 800 lbs today! My afternoon snack yesterday was fantastic ~ a little crunch with a little dairy. 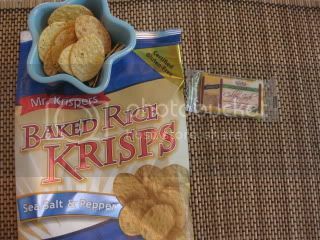 The Husband had opened up the Salt & Pepper Mr. Krispers for snacking last night. I had a 1 Weight Watcher Point serving. 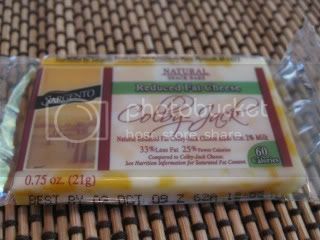 With a 1 Weight Watcher Point square of Sargento Lowfat Colby Cheese. I have to admit I really LOVED the Salt & Pepper flavor. I am not a big fan of Salt & Pepper potato chips so I didn’t think I’d like these. 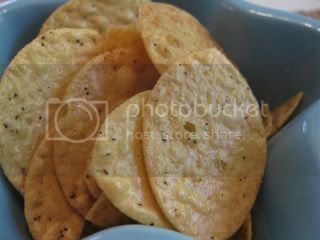 They were a nice surprise – crispy, crunchy with a little spice and not overbearing with salt or pepper. I’d buy them again for sure. You get 34 for 2 Weight Watcher Points. 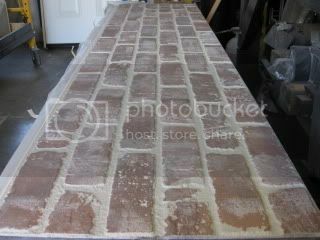 When The Husband got home, we unloaded our 800 pounds of Nichia Fiber Cement Brick Siding. Yup – each 6 foot square weighs about 40 lbs and I felt like Sheerah!!! LOL. The color we picked out was Vintage White Wash. 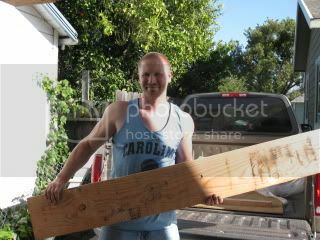 I have to say The Husband was super excited over the extra wood that came with the pallets. It’s the little things that please our guys, right?! 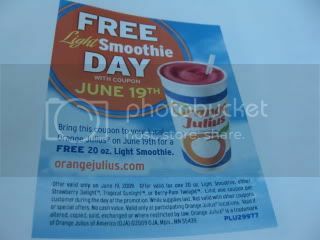 LOL…..
His sis stopped by and brought us some fantastic coupons to Orange Julius for Friday only ~ A FREE 20 oz “Light” Smoothie! How did I miss this coupon and sharing it with you all?! I did manage to find a $1 off Coupon however if you wanted to check them out – click HERE! They have THREE flavors ~ Strawberry Delight, Berry Pom Twilight, Tropical Sunlight. Each 20 oz smoothie is only 4 Weight Watcher Points and less than 250 calories. My only dilema with these is that they use Splenda. I gave up ALL artificial sweeteners 2 years ago for healthier versions of the real deal (Agave Nectar, Maple Flakes, Brown Sugar, Raw Sugar). I tried the Tropical Delight ~ Not bad, but, you can taste the canned pineapple. The Husband’s rocked – he had Strawberry Delight and it was berry, banana good! Along with that, I rounded out my dinner with a few FoodShouldTasteGood samples (1 of each type for 3 Weight Watcher Points). I made up a sampling plate for myself of ALL the flavors to try as I got the samples ready for the Weight Watchers tasting. 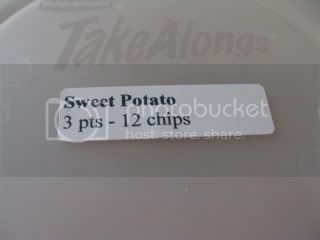 We put together 11 buckets of chips all labeled with the FoodShouldTasteGood chip name, serving size and Weight Watcher Points. The Husband had a sample plate along with me too! Here is a peak at a few….. I have to admit that I was a little excited and a little nervous for doing the sampling. I LOVE everything that FoodShouldTasteGood stands for but I was nervous that nobody would want to try the chips at 7am or that the die hard dieters may think I am CRAZY for bringing in chips to a meeting. The Husband and I both agreed on our favorites, although, we absolutely LOVED all the flavors. 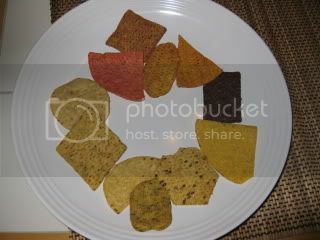 I really think the secret to this BAKED TORTILLA chip tasting so fabulous is that they bake the seasonings INTO the chip versus just sprinkling it on. Detailed reviews with our thoughts coming up in the FoodShouldTasteGood Sample Review post! FoodShouldTasteGood Sample Review Post and Safari West Posts coming tomorrow ~ for tonight, I am off to bed! Today was fantastic but I am beat…..
Too bad about the splenda! That stuff gives me headaches!! 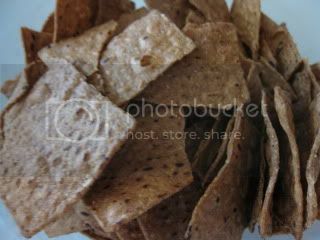 nom nom nom.. so many delicious chips – gotta love that crunch! 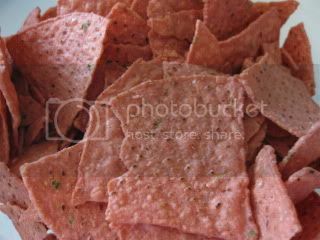 I love those krispers chips! The bbq one and sundried tomato basil ones are delicious. I like the salt and pepper, too! ohhh i love those chips. i want to try more flavors! K ~ The Cinnamon Flavor Rocks – you definitely should try it being a cinnamon fan! 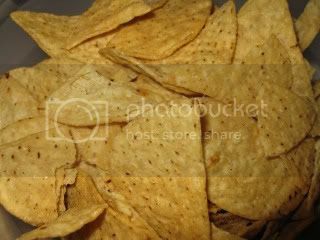 Jenny ~ Ahhh, so true – I heart chips! Anne ~ Ohhh, I haven't tried the Sun Dried Tomato one, I need to add that to my list. Janetha ~ All the flavors are awesome – I really don't think you can go wrong with any of them.